« DontFreakOut! Poses!! Group Gift for the 500 + Members!! 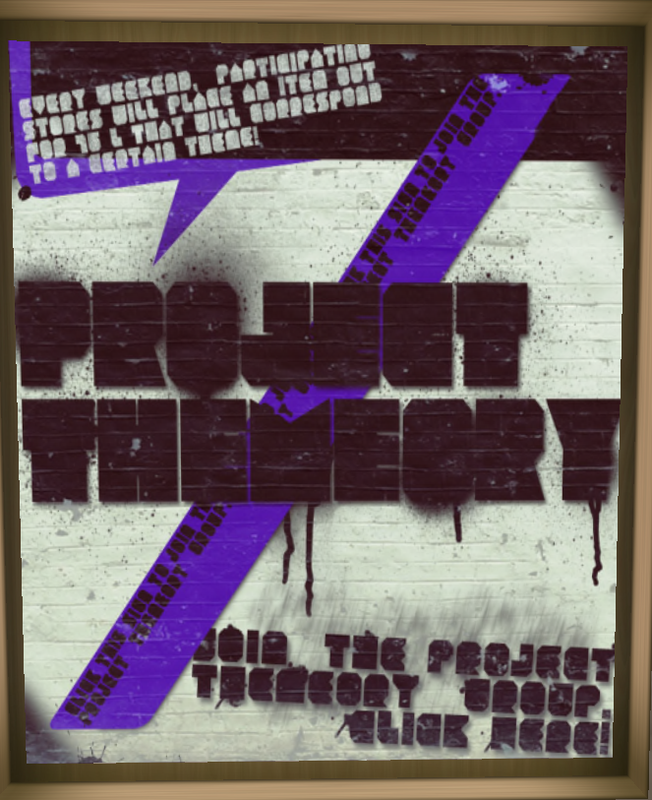 Project Themeory is a weekly event where every Saturday at 12:00am SLT a group of designers will place an item corresponding to a common theme at the main entrance of their store for 75L – It will remain there until 11:59pm SLT that Sunday. These will be brand new items and only marked down to 75L for those two days.